The Roboclean Electro Nozzle (Deep Cleaning Unit) features its own 150W motor, giving you extra cleaning power on all type carpeted surfaces. Remote control ability and upright lock mechanism are user-friendly features of the Electro Nozzle. 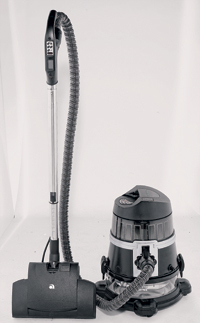 Its powerful motor maximizes the pickup ability of the Roboclean, leaving your carpets absolutely clean.